The Raspberry Pi 3 is the reference platform for SatNOGS. You can try using various distributions for this (eg. Arch, Fedora), but the one we suggest is our custom image based on latest Raspbian. 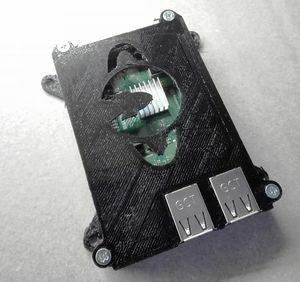 The Raspberry Pi can be set up by connecting it to a keyboard and monitor, by connecting it to wired Ethernet, or by editing files in the /boot mount on the flashed USB stick. If you are using wired Ethernet you should get connectivity right away. If you are using wireless then see this doc for network configuration instructions after booting. SSH to the Raspberry Pi with user "pi" and password "raspberry" (no quotes).